Is there a better alternative to Eye Scream Factory DVD Art Pro Volumes I-IV? Is Eye Scream Factory DVD Art Pro Volumes I-IV really the best app in Illustration category? Will Eye Scream Factory DVD Art Pro Volumes I-IV work good on macOS 10.13.4? Spice up your DVD menus and create matching packaging with 80 themes and over 900 templates from Eye Scream Factory! Eye Scream Factory's DVD Art Professional collections include DVD Menu and Packaging Design Templates as well as DVD Menu Backgrounds. Each template set includes main and chapter DVD menus in HD, NTSC, PAL, and DV along with matching disc labels, case inserts, and background images. The templates are Adobe Photoshop files that can be edited with Adobe Photoshop or Adobe Encore as well as with free image editing applications such as GIMP. The background images are provided as .JPGs. Easily create new looks and styles by adjusting colors, changing text, or moving layers. 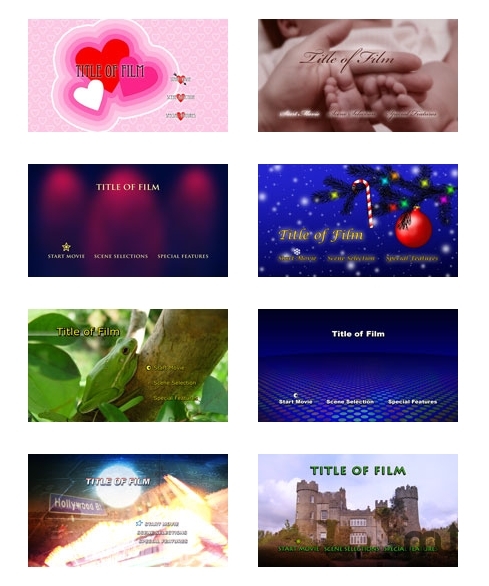 You receive 80 theme sets and 960 templates for use on many different occasions. Eye Scream Factory templates and artwork are ideal for anyone who creates DVD menus. Visit the Eye Scream Factory website to learn how to edit DVD Art Professional menu templates using GIMP and import your custom DVD menu backgrounds into Apple iDVD. Eye Scream Factory artwork and templates also work great with Apple DVD Studio Pro, Adobe Encore, and many other DVD authoring applications.